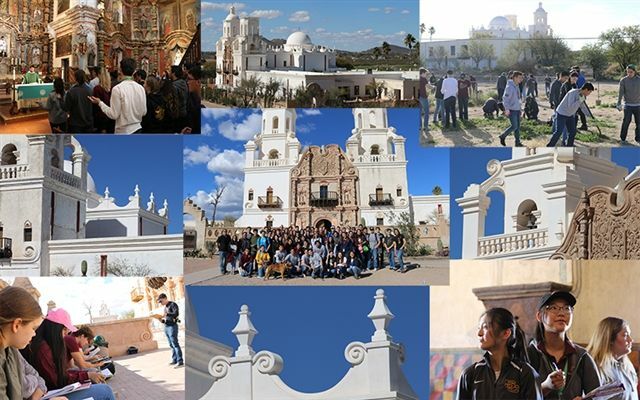 Students and faculty spent February 2nd at San Xavier del Bac Mission as part of the Humanities program offered at Salpointe Catholic High School. The group spent two hours pulling weeds and cleaning up the play area of the San Xavier Mission School. Father Manu then celebrated Liturgy with the Humanities students in the Mission church. The afternoon was spent learning about the history, theology, art and architecture of the Mission, as well as the oral tradition and stories of the Tohono O'odham Nation. 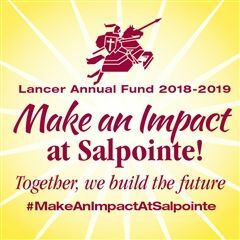 This annual field trip and service project for the Mission and the school is one of the highlights of the junior Humanities Program. This local gem ties together all areas of the Humanities into one holistic experience.